Today I had a catch-up with Marguerite Tonery, who has previously been featured on www.aae.ie. We discussed the exciting new business model of Tribes Press, her recently launched self-publishing services venture, and what this means for self-published authors in Galway and the west of Ireland. Hi Marguerite. Can you tell us about the company’s story? Tribes Press is a self-publishing press that publishes, translates and promotes fictional work. I started my career as a biochemist before becoming a health psychologist. My love of telling stories to children eventually brought me to writing. I was determined to ensure that my first book would make it into the world, so I decided to self-publish Kapheus Earth, never thinking that it would have succeeded as well as it did. I wanted to give my Kapheus series the best possible chance in the global book market and employed the services of world-renowned illustrator David T. Wenzel, best known for his graphic adaptation of J.R.R. Tolkien’s The Hobbit. Building on the success of Kapheus Earth, the next two books in the series came along, with the translation of Kapheus Earth into German also happening in quick succession. Now the fourth book is in the editorial process and will be out in September for the Christmas market. With Tribes Press I want to build on my own experiences and help other authors on their self-publishing path. Having someone by your side who has gone through the process and whom you can rely on for advice and support can be the deciding factor on whether to take that first step with your manuscript or confine it to the archives of your computer or desk drawer forever. I have brought together a strong team of experienced industry professionals including editors, illustrators, designers, translators and marketing experts. Tribes Press also wants to support and promote up-and-coming illustrators and designers and have added high quality students from the National College of Art and Design and our own College of Art and Design in Cluain Mhuire, Galway to our team. I have my finished book, what happens then? Tribes Press offers services that provide a website for the author along with social media platforms. Depending on what the author needs, we provide structured support in marketing and promoting each author’s book. We have our very own marketing team and provide marketing campaigns through traditional and online media. Tribes Press company’s objective is to be Ireland’s leading self-publishing press of fictional work. With our team of experienced industry professionals, we publish, translate and promote from manuscript to paperback. We appreciate that every artist is individual and we ensure that each author is in control from beginning to end and retains 100% of the worldwide rights of their work. What is your long-term vision for the company? Tribes Press aims to be the leading self-publishing press for authors in Ireland and in Europe. Through the industry segment of translation, we also wish to attract European projects from writers and larger publishing houses who wish to have author publications translated into European languages including English to extend each book’s reach in the global marketplace. Can you tell us more about these different pricing categories (bundles) and can you recommend a good starting point? Our self-publishing bundles give authors the opportunity to choose a bundle that best suits their needs. Each bundle entails a distinct set of services which differ in their complexity. For example, our most basic bundle includes all the standard services necessary to get from manuscript to finished e-book, whereas our most advanced bundle includes e-book, printed book, audio book, author website and an extensive marketing campaign. You asked me for a good starting point for an author. Well, it is very much based on what the author needs. Some authors may wish to know if their manuscript is publishable. Does it reach the criteria necessary to publish? These authors have an opportunity to place this manuscript into editorial assessment for it to be reviewed by an experienced industry professional, to see if this book concept could work, if there are areas that need to be enriched or if it is ready to go to the next stage in the publishing process. There is an option for authors who want their manuscript produced and sold as an e-book. Others will need an illustrator, designer or ISBN. All these services can be purchased without effort. Then you have a situation where an author may wish to have their book translated into another European language, so that they reach a larger readership. All of this is possible with Tribes Press. I could talk forever about the services available to authors, but I suggest to anyone who is interested to look at our website tribespress.com to see the services, ranging from publishing to translation and promotion. When we developed our business concept we wanted to reach a business model where we are making it very easy and as accessible as possible for the author to get the services and the support they really need. We will constantly aim to improve our understanding of client needs as we move forward and offer those services. What advice would you give writers who are thinking about self-publishing their work? Get in touch! 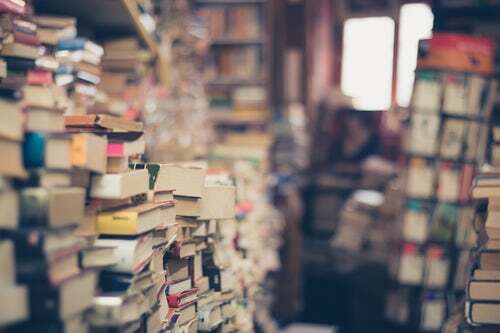 The biggest challenge writers face when approaching big publishing houses is that their manuscript may end up in a slush pile on somebody’s desk never to be read. Other times, writers are waiting for over two years for a refusal or an acceptance letter. We offer an initial service that we call our editorial assessment. Authors can submit their manuscript through our website for this service and are guaranteed that their manuscript will be read. They will receive an evaluation with critical feedback and suggestions for improvement regarding the storyline, plot, characters and flow of the language within three to six weeks. Authors may then decide to proceed with our self-publishing services to complete the publishing process or they may decide to avail of our extensive editorial services to bring their manuscript up to a very high standard where they are confident enough to approach a bigger publishing house if that is what they seek to do. Tell me a little about your own series of books. The Kapheus Series of Children’s Books are set in the landscape of Ireland along the Wild Atlantic Way and are epic fantasy adventure stories for children aged 7+ years old. Kapheus Earth, Kapheus Air and Kapheus Water are epic fantasy adventure stories steeped in Irish mythology. They are set in the landscape of Ireland along the Wild Atlantic Way and reach farther afield to the Hill of Tara, Ireland’s soul. I was born on the west coast of Ireland and live in Galway. I was the sixth born of seven children, which was then a typically Irish family. My childhood had a mixed influence from my parents’ background. My mother brought the openness of a woman who was reared in Dublin city to her children in the rural west, while my father brought the earthy love of land and nature to us as children. Both aspects of this upbringing combined to give that richness to my writing. My professional background as a psychologist has definitely influenced my writing. The dragons, elves, leprechauns, and mythical creatures such as unicorns and centaurs, guide Elisa and Jamie through the greatest challenges of their lives, and in the background the complex dynamic between parents and children, and between siblings themselves, comes alive. I hope everyone who reads these books enjoys Kapheus. Do you have any other plans for the Kapheus series in the pipeline? Yes, the fourth book in the Kapheus series is due to hit the bookshops in mid-September. I’m really looking forward to holding the book in my hands. It’s a great feeling as an author to see the fruits of your labour. Yes, Kapheus Air is currently being translated into Kapheus Luft. Exciting times are afoot. Will you be attending any book fairs or festivals in the near future? Yes, I will be attending the International Literature Festival in Dublin next week. One of our editors will also be representing Tribes Press during the Listowel Writers Week and we will be attending many other festivals throughout the year. What is the link for Tribes Press and your social media/contact details? Our website is www.tribespress.com and you can find detailed information about all our services here and you can read about festivals and events that are going on in the literature world. Our Facebook page can be found under https://www.facebook.com/tribespress/. You can also reach me on the phone under 087 7749873. Super! Thanks so much for taking the time out to speak with us, Marguerite.